Presently, for the age of the Earth some 4.6 billion years is assumed. Earth’s history based on physical documents is leading back in time to 4.3 billion years. The earliest simple organisms appeared between 3.8 and 3.5 billion years ago, although life must have existed before that time. From these primitive forms the organisms evolved continuously. Only the most suc-cessful (“fittest”) survived during the permanent struggle for life. Rocks are the oldest storage medium of the history of the Earth, standing head and shoul-ders above a computer chip. We have to acknowledge this memory of rocks to keep us in-formed about natures secrets. They hold the solidified traces of the eruption of a volcano as well as of past climates. Also, the history and development of life is recorded in the rocks or in fossilized organisms enclosed in rocks. 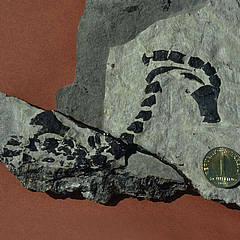 You have to dig and search for fossils, the name of which is derived from the Latin verb "fodere" which means digging. The documents are mostly fragmentary and more or less altered remains of organisms or their tracks. They are studied and taught by the science discipline of paleontology, the “les-son of previous beings“(gr.). 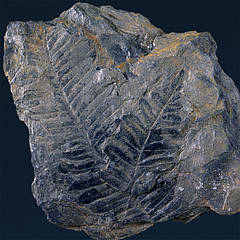 Already in pre-historic time there was an interest in fossils. For example, some fossils were found as burial objects of early man. 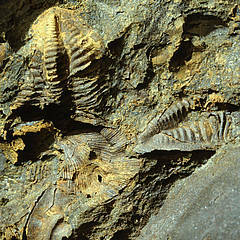 The first who mentioned fossils were philosophers in the ancient world. They interpreted them partly correct and drew attention to the fact that they were derived from other organisms than those living nowadays. Aristoteles considered fossils as figures which were formed by forces inside of rocks. This opinion did not change until the Middle Ages. Only Albertus Magnus and Leonardo da Vinci believed in real remains of organic life. Nevertheless, until the middle of the 18th century the opinion persisted that fossils represent a freak of nature formed by miraculous forces. Georg Agricola explained them as mineralogical structures. However, fossil fishes, bones and plants were interpreted correctly, as remains of animals and plants.Fossils are remains of past life, quasi images of the past. These creatures of nature were subject to continuous changes and thus resemble a style in architecture or the fashion. Each time was charac-terized by unique inimitable creations. Those who lived only for a short period are designated as guide fossils. 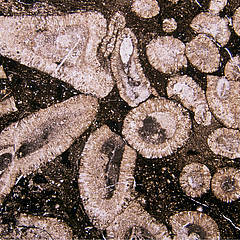 By means of these short-ranging fossils it is possible to determine the relative age of fossil-bearing rocks. Other organisms, however, did not evolve so rapidly. They are conservative and are less qualified for age determinations. In the calendar of geologists they can not be dated "right on the day"..